Chandelier specializes in the design and fabrication of fine lighting products. Our product line consists of a variety of styles of chandeliers, lanterns and exterior lighting in both old world and modern designs. Along with our custom product line, we offer restored antique and vintage lighting and use antique parts to create one of a kind light fixtures. As a small, family owned and operated company since 1994, we have worked closely with designers, architects and personal clients throughout the country and have grown into an online company serving clients all over the world. Having 30 years of experience with European antiques and over 20 years experience with hand crafted lighting, we have been able to design a sophisticated line of lighting that is adaptable to a wide variety of styles. We are consistently adding to our line and often customize pieces for our clients. If you would like to create a custom fixture, please contact us and we will be happy to discuss your project with you. Call us today! Specializing In Custom Lighting Designs! San Diego’s Preferred Manufacturer of Custom Lighting Designs! Our knowledgeable staff and talented craftsmen have completed hundreds of custom projects to our clients’ specifications and satisfaction. 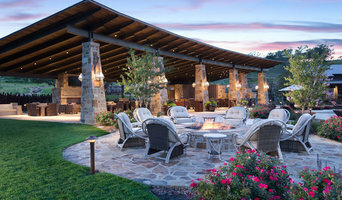 Yard Illumination and yardillumination.com are dedicated to beautifully lit landscape projects. We offer top quality landscape lighting fixtures, LED upgrade replacement bulbs and other fantastic products such as in ground trampolines and outdoor sound systems. Landscape lighting enhances the beauty and serenity of your yard or garden making it the perfect evening retreat. You will also love what custom lighting does to transform the outside of your home while keeping it well-lit and safer for your family. Our concept is simple. Outstanding customer service, high quality outdoor lighting and great prices. Make your yard more beautiful, energy efficient and safer at night with a low voltage lighting system from yard illumination. Light helps you live a better life! We share the gift of light by combining decades of professional experience with cutting edge technologies for unprecedented affordability and beautiful results. Outdoor Landscape Lighting Designer The Best in Landscape Lighting Mark Mullen Cell 1-866-535-8750 A licensed electrical contractor in the state of California since 1983 (Lic. 445591 C-10 Specializing in Landscape Lighting Beverly Hills, Newport Coast, La Jolla, Las Vegas, SouthHampton New York, Cabo San Lucas, Atherton Ca, Very high end clientele, Most of them have a Wikipedia page, From Tony Hawk to Kevin Costner , Jackie Mars of the Mars corporation or M&Ms candy. 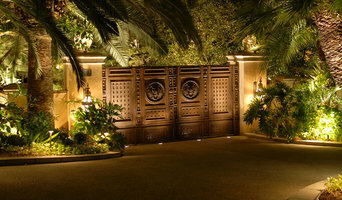 To Linda Ardell the daughter of the later Joan Kroc-McDonald, the Waterman Estate an Historical home in San Diego, to Russell Weiner of Rockstar Energy Drinks , I've designed and installed 3 estates in Beverly Park North, designed and installed the light at The world famous Golden Door Spa in Escondido , Historical Bandy Canyon Ranch , as well 100s of Home Home or Estate in Beverly Hills & Rancho Santa Fe. Born in Detroit, Michigan the home of Motown Ms. Allaire studied Interior Design and Dance at Western Michigan University in Kalamazoo where the Fusion of architectural and theatrical lighting sparked her interest. R A L D choreographs memorable spaces by enhancing finishes with light, collaborating with the Owner, Architect, Interior Designer, Landscape Architect, Builder and Project Team members. Award winning designer, Rosemarie has worked with prominent architectural lighting design firms throughout the United States before establishing her Dana Point, CA architectural lighting design practice in 2002. Rosemarie has worked on projects all across the United States and Internationally. Rosemarie has been Enhancing Environments with Light since her career began in 1986. At Shakuff, you push the limits of light, color & texture, with our dramatic custom lighting & décor made from our exotic, fused & blown glass. When it comes to lighting, we believe that access to daylight is a human right. Studies have shown that people exposed to natural light are more productive, achieve a better sense of well-being, and are more positive. With more than 20 years of experience, we can guarantee and ensure to bring you the most pure, bright, and natural sunlight throughout your home with our daylighting systems. Give us a call today for your free in-home consultation with one of our Certified Installation Consultants. At Solatube Home Daylight, we guarantee your satisfaction. Fan Diego specializes in ceiling fans and fixtures for the complete layering of lighting and functionality of energy savings with fans. One stop shopping to see all the major brands under one roof for your comparison. Fan Diego is the largest and best ceiling fan and lighting source in the western US, since 1993! We have 4 showroom locations throughout Southern California, and the most trusted website for online shopping and buying in our industry. Yes, we offer the most extensive selection of ceiling fans and lighting that you will find displayed, in stock, free shipping terms and available for special order... but what we hear most from our customers about why they love us? Fan Diego's customer service! We are committed to making your experience with Fan Diego the best in our industry, online and in our showrooms. From the ultra contemporary to the classics of traditional styling, Fan Diego offers all major Ceiling Fan and Lighting brands under one storefront to save you time and money, and with the best service. Seth Parks specializes in designing & creating custom hand-blown glass lighting & sculptures for residential, commercial, and hospitality spaces. Working closely with designers, architects and homeowners, Seth creates a functional work of art that matches the space for which it is designed. A glass blower with 15 years of experience, Seth designs and makes all of his lighting and sculptures in his Southern California studio. His expert quality American-made pieces are unique and collectible works of art which can be found worldwide. Ron Neal Lighting Design is an award winning San Diego based firm, founded in 2001 by architectural lighting designer, Ron Neal. Since its inception, Ron Neal Lighting Design has successfully participated in the completion of over 200 commercial lighting design and residential lighting design projects. *Authorized Hinkley Lighting Dealer* Showroom locations: Orange: 658 North Tustin, Orange, CA 92867 Costa Mesa: 1848 Newport Blvd, Costa Mesa, CA 92627 Montclair: 8760 Central Ave, Montclair, CA 91763 Light Bulbs Etc operates a group of Southern California full service lighting showrooms offering one of the largest selections of top lighting brands at guaranteed lowest prices. We have been lighting Orange County & the Inland Empire since we were established in 1986 and have been proudly serving contractors, designers, electricians and home owners in our lighting showrooms. At Light Bulbs Etc, we are committed to providing the latest design innovations and an exemplary level of customer service and expertise. Our buyers travel the world extensively, delivering to the market place the very latest in lighting design, style and fashion. There are other stores for lighting in Orange County & Inland Empire where one can purchase lighting products. We feel that one of the key distinctions between us and many of our competitors is the fact that we don’t just display and sell light fixtures...we talk lighting. Come visit our beautiful Inland Empire & Orange County lighting showrooms in Costa Mesa, Orange, and Montclair. Feel free to call any specific store, or call our internet sales number (888) 545-4837 to talk with one of our lighting design experts. Our unique service provides design, specification and supply of all Lighting, and Lighting Control projects. Our clients include architects, developers, designers, decorators, retail stores, and home owners world-wide. We understand the normal constraints of any project; budget, coordination, and time deadlines and will certainly do our best to contribute to the success and completion of the project. Our emphasis is, and always has been, to provide our clients with the best quality and range of products there is to offer with unsurpassed customer service. Inspired by the timeless designs of European antique fixtures, our lighting and accents offer classic elegance that will compliment your décor. Each piece is made by hand in the USA using old world metal working techniques. Designs are given multi-coat, hand-applied finishes, and feature hand-rolled fabric and parchment shades. Every detail of our fixtures is a showcase of our premium standards, artisan craftsmanship and dedication to quality. We transform environments with LED lighting technology by engineering our customers’ visions into innovative solutions. We partner with our customers from project inception, through planning, specification and installation of their LED lighting systems to ensure we create solutions that match their exact needs. Our work transforms environments in an array of industries including retail, entertainment, exhibit, hospitality and gaming. The Core Values of Environmental Lights: People Matter We treat customers the way we would want to be treated. We respect our partners and value their expertise. We care about every member of our team and train them to be the best at what they do. We know that when we support each other and work together there is no limit to the amazing things we can do. We Are Accountable We hold ourselves accountable, stand behind our work, and measure our success through customer satisfaction. We have passion to provide unequaled service and do what’s right because it matters. We are authentic in our efforts and aspire to be an example to others in conducting business. We Make Sure It's Done Right We provide guidance for our customers to make sure they have the right solution for their need. We focus on quality, take care of business, and are never sloppy. We look beyond the sale to installation and maintenance to provide long-term value for our customers. Engineering Excellence This company was founded on engineering and it is the lifeblood of the organization. We use world-class training to ensure everyone on our team is an expert in our products and in lighting principles. We engineer reliable lighting systems that are easy to install and use. We are rooted in engineering theory but experienced in real world applications. Customization We are entrepreneurial at heart and understand every project is unique. We use our creativity and expertise to work with our customers to provide specific solutions that are right for them. We customize and pre-configure lighting systems to make installation easier. Our organization ensures both large and small scale projects are rapidly fabricated and delivered in a timely manner. At Gibson Lighting, our experience in every phase of the custom lighting design process brings originality, quality and craftsmanship to every project we work on. From unique and inspired designs to artisanal wood carving, glass blowing, and metal fabrication, our commitment to quality and creativity delivers lighting fixtures that transform spaces time and time again. 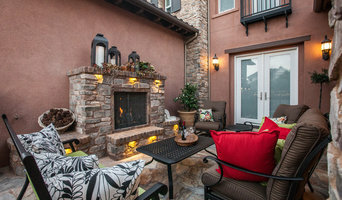 Landscaping Lighting Contractor serving San Diego since 2003. Award winning design, guaranteed lowest prices and a really fun company to work with. A well-lit home is essential for both functional and aesthetic reasons. Lighting designers will analyze your Del Mar, CA home's layout, structure and needs to create an effective lighting plan throughout your home. Though electrical engineers or interior designers can take on the task of outfitting your home with the appropriate lighting, a professional Del Mar lighting designer explores lighting as a technique. Think about how you plan to use each area of your Del Mar, CA home. It's important to communicate to your California lighting designer which space will be used as an office and which will be a media room, for example, as these will require very different lighting methods. In addition, consider how you'd prefer to control the lights. Lighting technology today includes dimmers, sensors, photocells (that let lights react to the amount of daylight in a space), programmable scene controls (that let you program different settings for varied lighting) and whole-house lighting controls (that let you control all or a portion of your home's lights from one source), allowing you to tailor your lighting controls however you wish. Find a lighting designer on Houzz. 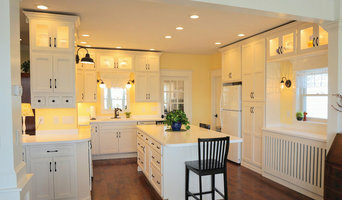 Narrow your search in the Professionals section of the website to Del Mar, CA lighting designer. You can also look through Del Mar, CA photos by style to find a lighting design you like, then contact the designer.